Onika Miller was appointed Executive for Government Relations and Public Policy, Jamaica National Building Society in October 2015. In this role, she focused on strategic engagements with government agencies and other public sector entities, developed strategies to identify and create new business opportunities for JN, as well as maintained linkages with regulators, governing bodies and corporate entities. With the restructuring of The Jamaica National Group on February 1, 2017, Ms Miller was appointed Managing Director of the MCS Group, leading the subsidiaries of the JN non-financial group. She previously served as Permanent Secretary in the Office of the Prime Minister for nearly six years, where she provided technical and policy support to three Prime Ministers. As Permanent Secretary and Accounting Officer she was responsible for the direct management and control of the Office of the Prime Minister and for the supervision and oversight of the various public bodies falling within the portfolio of the Ministry. Ms. Miller also provided technical support and advice regarding the visits of Heads of Government/State to Jamaica. Additionally, on many occasions, she represented Jamaica in bilateral meetings with Government leaders of CARICOM countries and with Heads of State of several other countries. 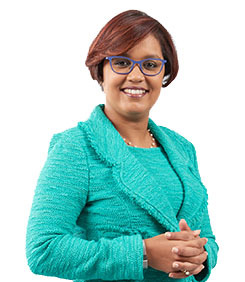 As a sure-footed public servant employed to the Government of Jamaica since 1996, she has also worked in several other capacities, including Chief Technical Director of the Office of the Cabinet and Director of the Local Government Reform Programme. Ms. Miller was the Chairperson of the Policy Committee of the Permanent Secretaries Board. She previously served as a board member on several public bodies, including the PetroCaribe Development Fund, Jamaica Social Investment Fund, Jamaica National Heritage Trust and Fiscal Services Ltd.